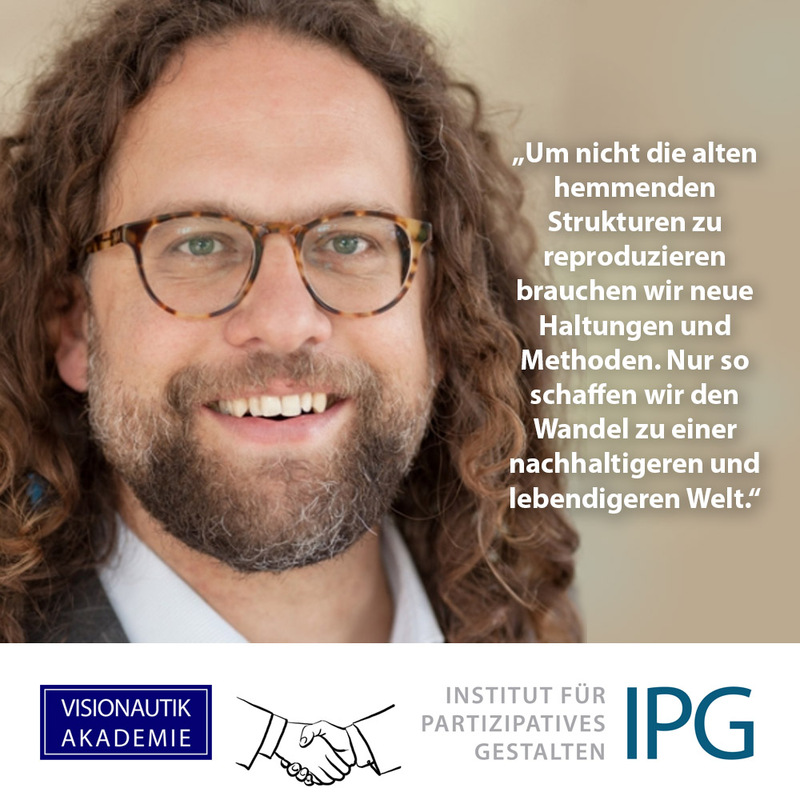 We have won Jascha Rohr, director of the prestigious Institute for Participative Design IPG as trainer and expert for our courses starting from September :-) Jascha has over 10 years experience in accompanying participation processes and designing sustainable, complex systems, he became honored as Future Global Leader and is author of "In Our Power" and other publications. It is a great pleasure for us to share his experience and expertise with our budding Visionauts and Pioneers of Change. Here you can find out more about Jascha Rohr. More information about the two-year Visionautikum and the one-year Pioneers of Change course and how to apply for it can be found here.